Hagar Ravet and Adi Pick : 2019-01-30T15:00:11..
SoftBank Ventures Asia, an early stage investment fund set up by Japanese telecommunication company SoftBank Group Corporation, led a $30 million investment round in cloud storage startup Pliops Ltd., the latter announced Wednesday. Intel Capital, as well as Israel-based venture capital firms State of Mind Ventures (SOMV) and Viola Ventures also participated in the round. 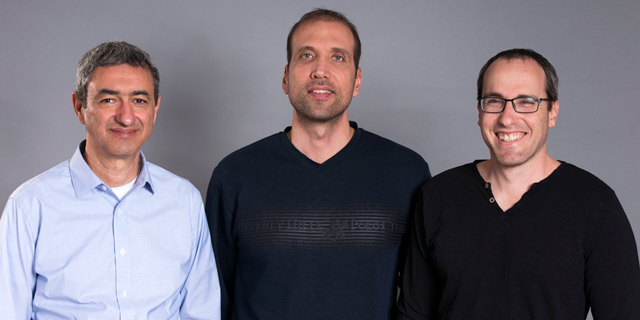 Founded in 2017 and headquartered in central Israel, Pliops develops a storage processor with a low computational load, making networking and storage infrastructure more scalable. “We have developed a new product category that integrates hardware and software to simplify the structure of storage solutions, resulting in a 50% improvement in performance," Uri Beitler, CEO and co-founder of Pliops said in a phone interview with Calcalist. Pliops will use the funds to expand its teams in the U.S., Israel, and China, the company said in a statement. Pliops has raised $40 million to date, according to company statements.